Limited signs of instability today in the Slab Cliffs area. Widespread 2mm surface hoar observed throughout the area at all elevation ranges. Some of this surface hoar was destroyed on southerly aspects mid day with full sun. On all other aspects, this surface hoar looks to persist as our next storm approaches tonight. 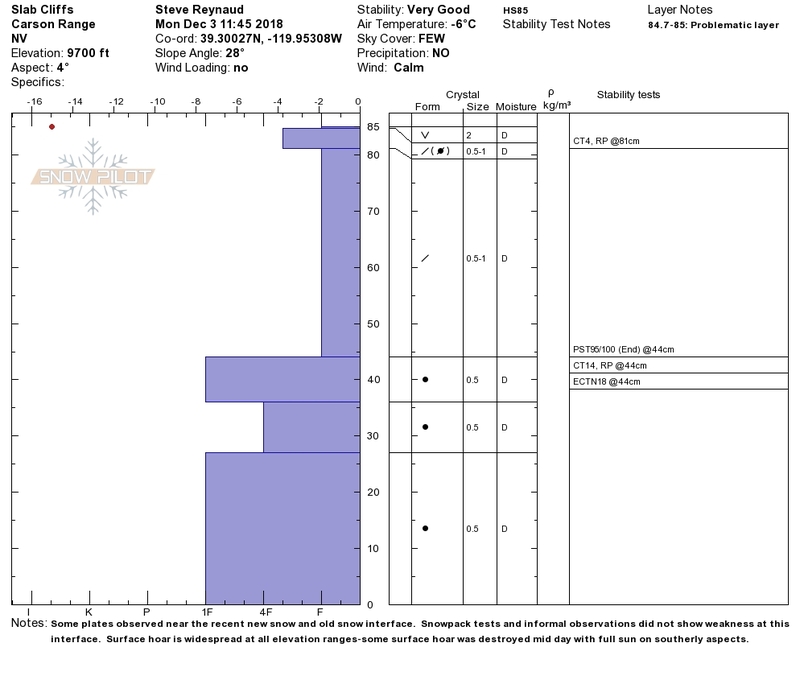 Snowpacks tests targeting the recent storm snow showed little results, overall bonding between layers was good. Snowpack depths ranged from 2-3' above 9000'. Early season conditions exist with many exposed rocks, trees, and bushes.